Saturday, May 6 from 10:00 a.m. until 6:00 p.m. 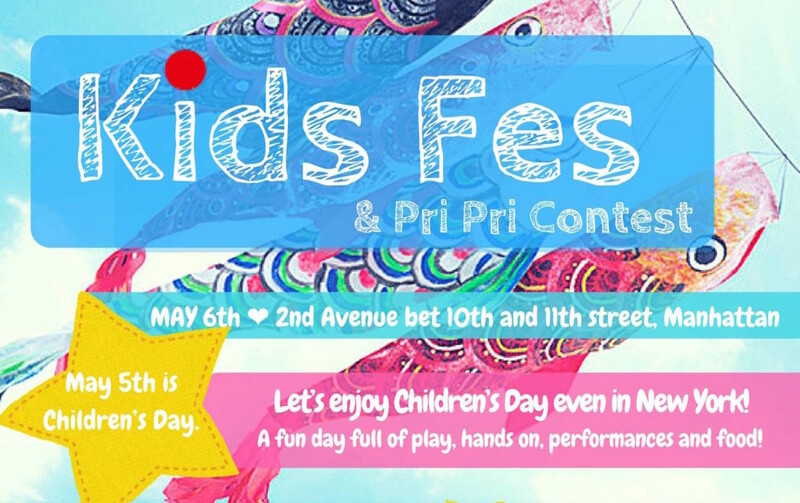 The next Japan Fes street fair is focused on children in honor of Kodomo no Hi, or Children’s Day, a day dedicated to the health and happiness of children in Japan. The observance is part of Golden Week, a week of paid holidays in Japan that also include Constitution Memorial Day and Midori no Hi (Greenery Day). One block of the East Village will have a festival atmosphere, filled with delicious Japanese cuisine, activities, and crafts available especially with children in mind. There will be free workshops for children to learn how to make origami and other crafts and to dance the famous Awaodori Obon festival dance. The official stuntmen from the popular manga/anime series Naruto will also make an appearance!! Japanese vendors will have booths with products and activities for children. Of course, there will be food! This weekend festival will be a delight to adults and children alike! For more information, please visit the Japan Fes. website. Previous Previous post: Kaoru Ikeda/MoustacheCat Dance Presents "Freedom isn't Free"